Clothes are something many do not even consider recycling and although handing them down to younger members of the family could also be classed as recycling, you should be aware of the growing number of clothes recycling points provided by the local government which can be found now on many a street corner. Tyre recycling is often carried out by the same garage that changes them on your car, however it should be remembered that if this is not the case, it is worthwhile depositing them in the correct place yourself, especially when considering what they can be used for. As well as being used for retreading and export, old tyres can also be used for the very worthy cause of sports surfaces and for the covering of children’s play areas. One of the easiest things we can recycle and should feel obliged to do so is the mobile phone. Many exchange their old mobiles for cash which is one way to raise funds; others simply hand in their handsets for mobile phone recycling. 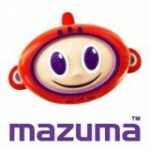 At Mazuma Mobile we take mobile phones for cash and can help you do your part for the environment.